Though it has taken a (long) while, I can finally say that there is now a PDF pattern for Snow White! I also took some updated photos for her. Isn’t she adorable? 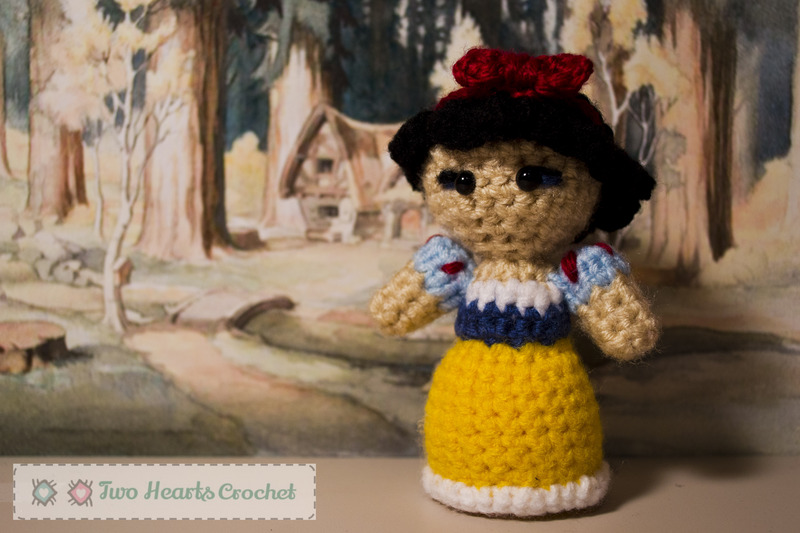 You can download the PDF pattern for Snow White here. You can also find the PDF included in the original blog-posted pattern, here. I am working on creating a pattern using UK terms, which should be available later today. It will also be posted in the original blog-posted pattern under the “Patterns” tab above. Now all she needs are a few (or seven) friends, don’t you think? Previous postComing Soon: A Harry Potter CAL!